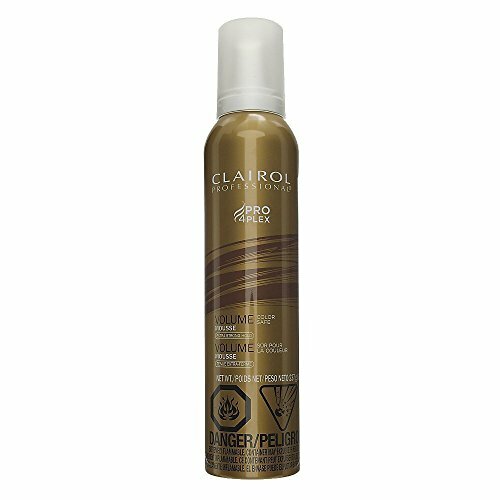 Clairol Professional Volume Mousse provides extra strong hold giving fullness and body for all day volume. It will hold your hair without leaving it sticky or greasyWater Propane PVP Butane VP/VA Copolymer Isobutane Chitosan Phenoxyethanol Panthenol Polyquaternium-16 Fragrance Formic Acid Disodium EDTA Methylparaben Laureth-4 Cetrimonium Chloride.Shake well before use. Apply a small amount to hands and work into towel dried hair. Blow dry or style as normal. Extra strong hold, giving fullness body and curl retention for all day volume.